4 layers of carrot cake with walnuts, raisins, and carrots complete with whipped homemade cream cheese frosting. 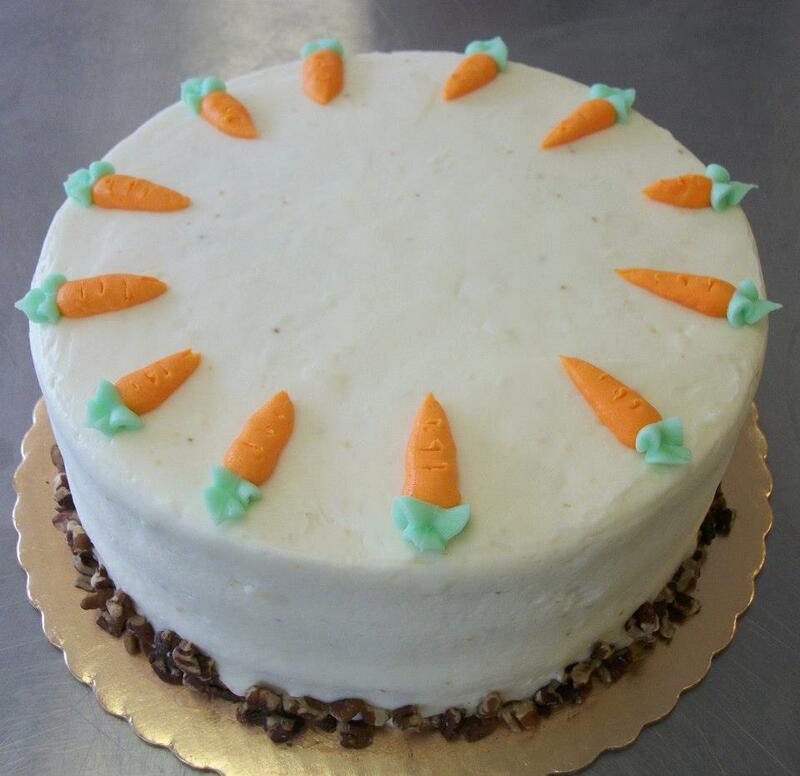 It’s finished with a garnish of walnuts around the base and adorable buttercream carrots on top. 48 hour pre-order is recommended. Smaller crowd? 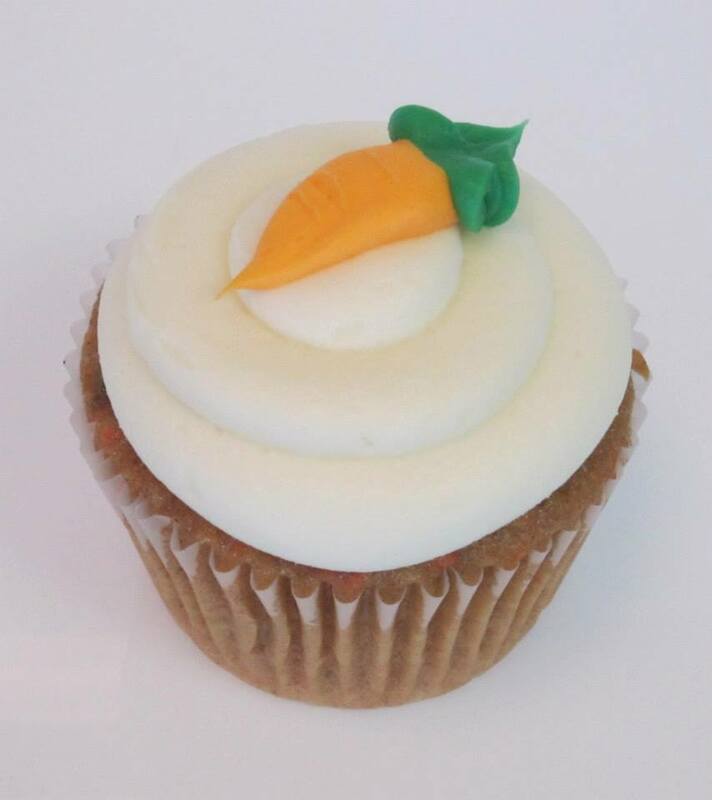 Get all of the delicious taste in half the size when you order a carrot cake halvsie! 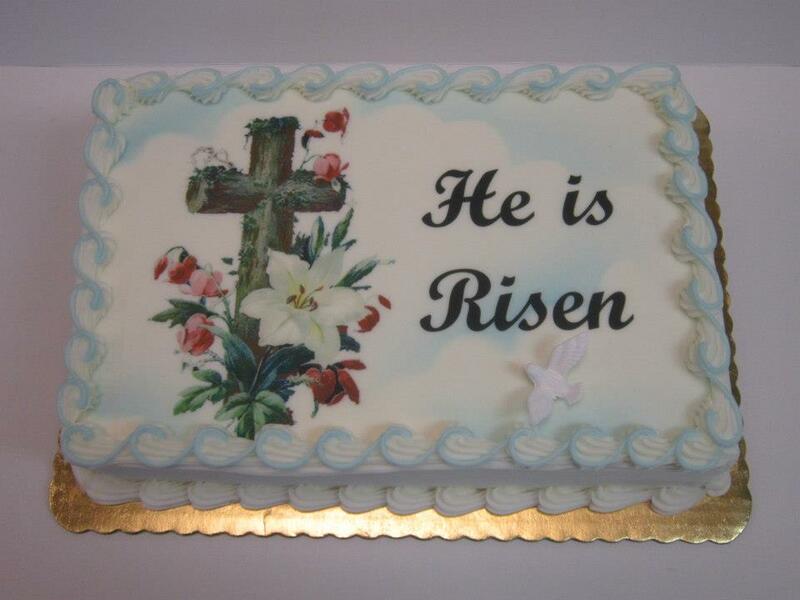 Celebrate Resurrection Sunday with your family or church family with a beautifully decorated “He is Risen” cake. This happy little bunny is ready to hop into your Easter weekend festivities. Made from a half-round cake dusted with coconut flakes, it’s sure to be a family favorite. Can you say sprinkles, sugar and colorful fun? 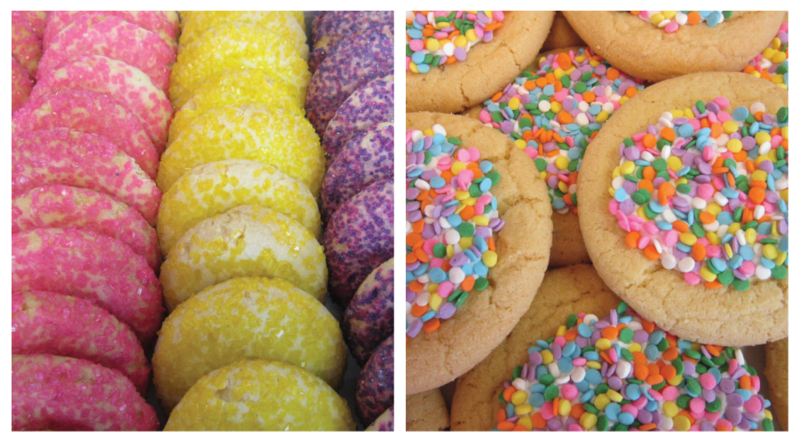 These brightly colored sugar cookies and tea cookies are sure to be crowd pleasers. 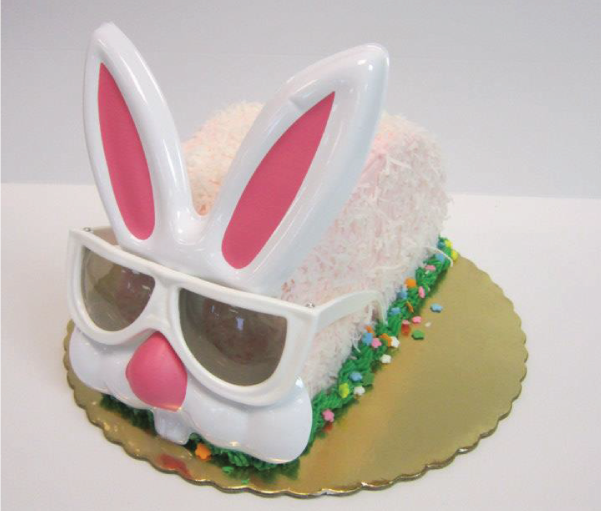 Ensure your Easter get-togethers end on a delicious note with sweet treats from American Dream Cakes. It’s all about #makinglifedelicious. 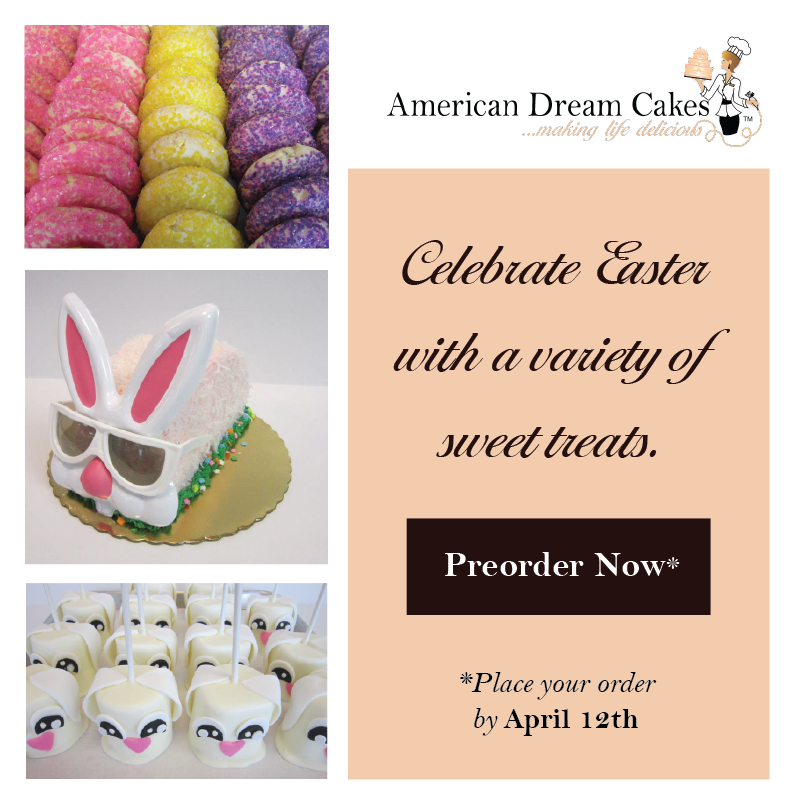 Easter Pre-Orders until April 12th! The first official day of spring is March 20th. That’s worth celebrating, and we recommend making the arrival of spring delicious with gourmet cupcakes featuring spring flavors. There are over 100 varieties available! Each day we feature a selection of gourmet cupcake flavors in the bakery. Cake flavors range from traditional vanilla or chocolate to grape-infused and other exotic flavors. Each gourmet cupcake has it’s own deliciously complimentary fillings, frostings and toppings. There’s a unique combination for everyone! Single cupcakes are $3.99 each. A light sugar sponge cake filled with pistachio custard filling. Topped with pistachio cream icing and a pistachio shortbread cookie. 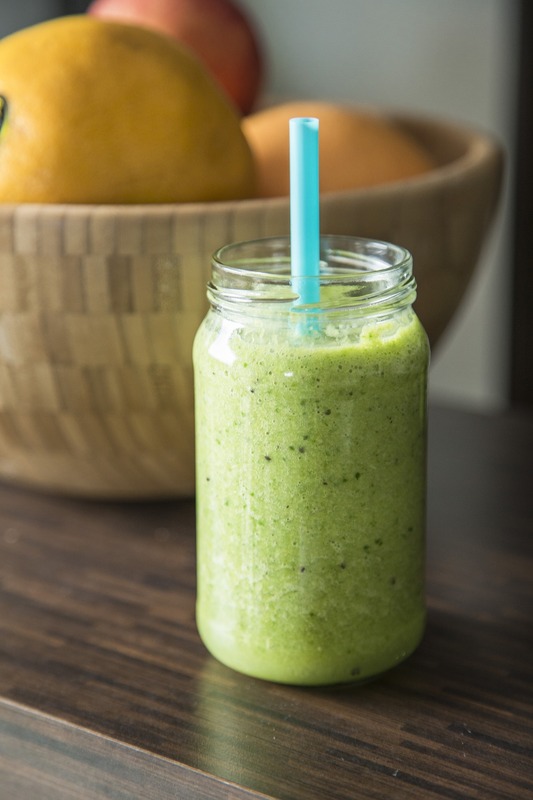 Did you know that pistachio is also known as the “green almond”? 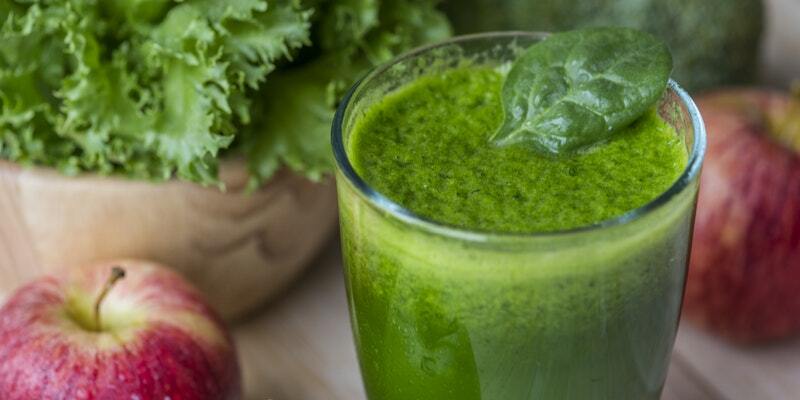 How can you celebrate spring and St. Patty’s Day? 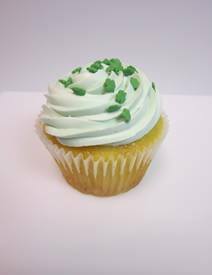 With the “Kiss me, I’m Irish” gourmet cupcake that’s a nod to the ‘luck of the Irish.’ A sponge cake infused with Irish cream and vanilla Irish cream filling. 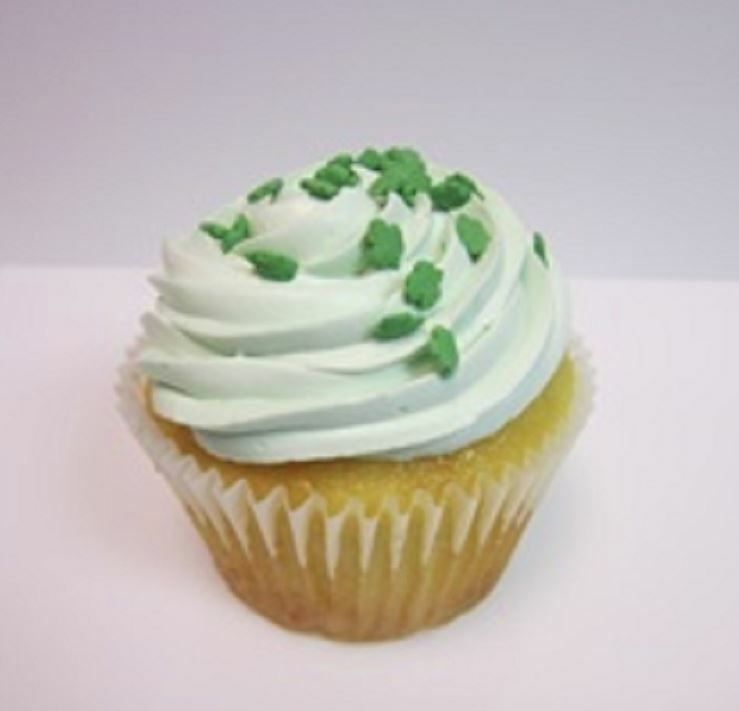 Topped with Irish cream icing and shamrock sprinkles. Ideal for any spring day – indoors or out! 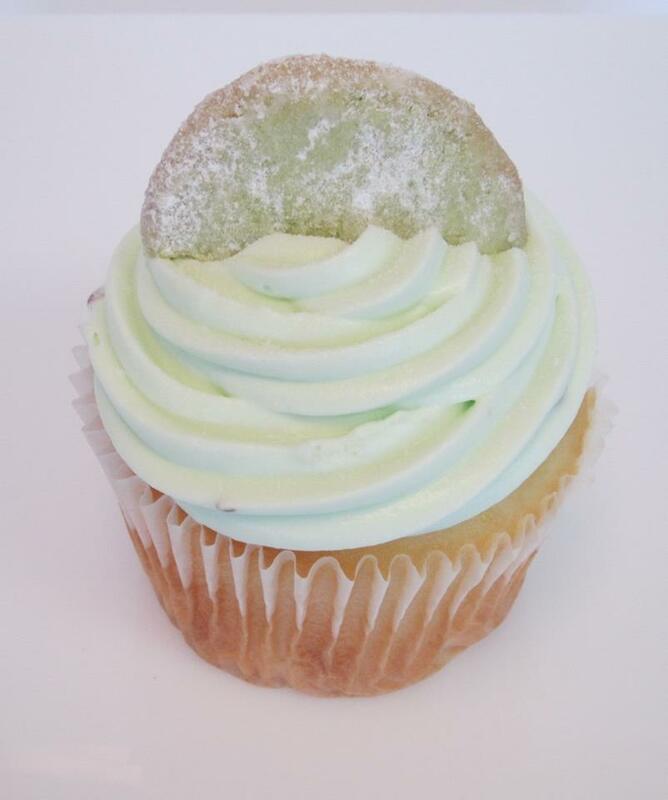 The Green Tea-rrific brings sweet green tea flavor together with a Green-tea crème and a honey-butter cake. Topped with infused Chantilly icing and a dreamy lemon-honey drizzle. Carrot cake baked with walnuts and raisins topped with yummy cream cheese frosting. Topped with an adorable buttercream carrot garnish. 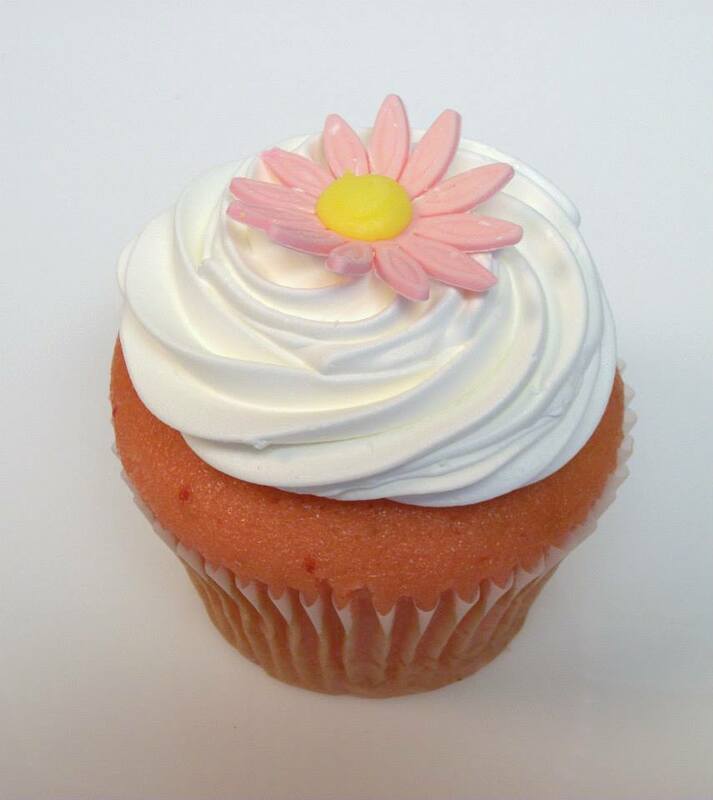 It just wouldn’t seem like spring if we didn’t include a fresh Strawberry Cream groumet cupcake! Vanilla whipped icing tops a strawberry flavored sponge cake. 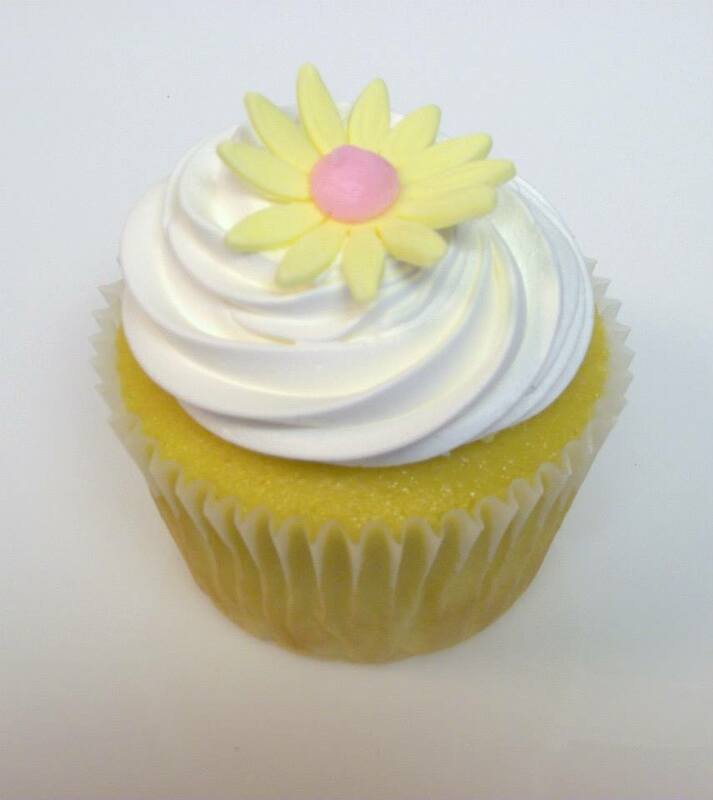 Filled with whipped vanilla creme and topped with a pink sugar daisy. 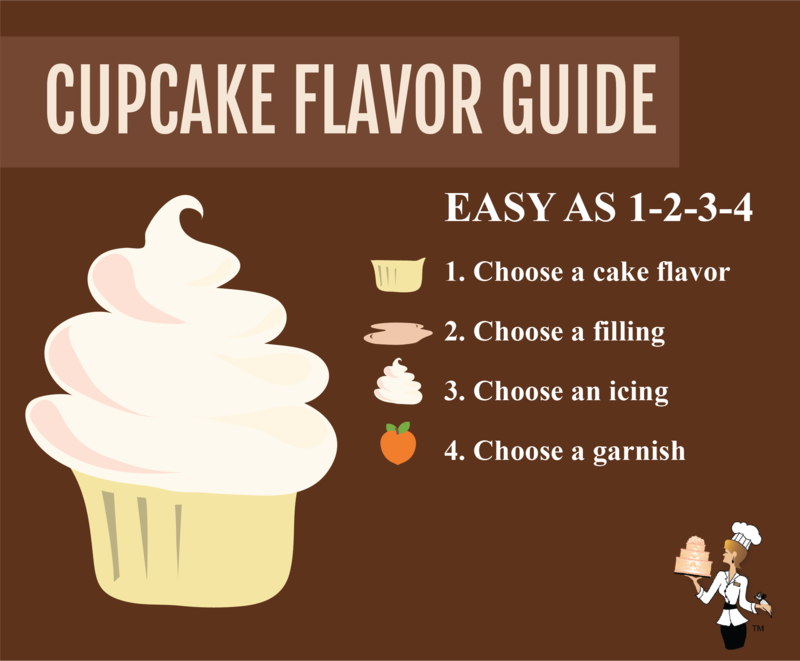 For your next special event, check out our special-order only gourmet cupcake flavors. Here’s one: The Grape Knee-High! Grape-infused cake filled with grape-soda flavored cream filling. 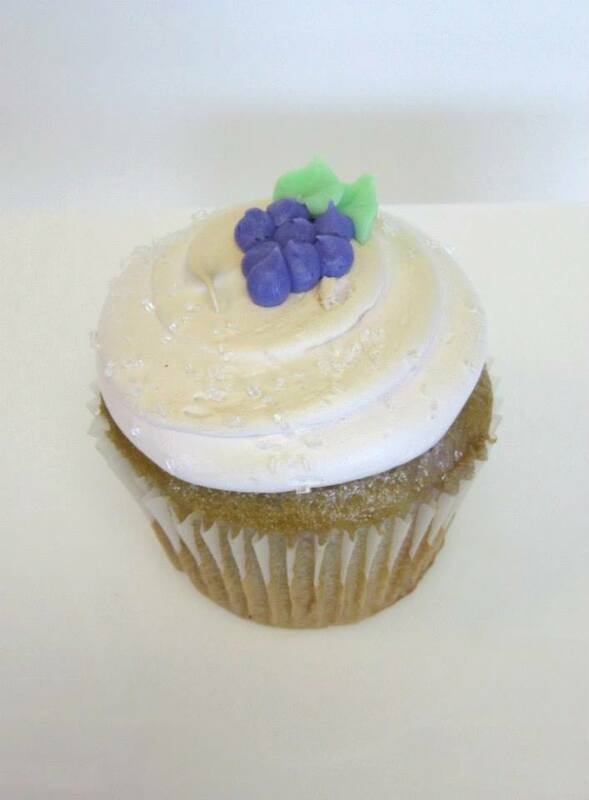 Topped with grape-infused meringue icing and a sugar grapevine garnish. This one is perfect for your favorite grape enthusiast. 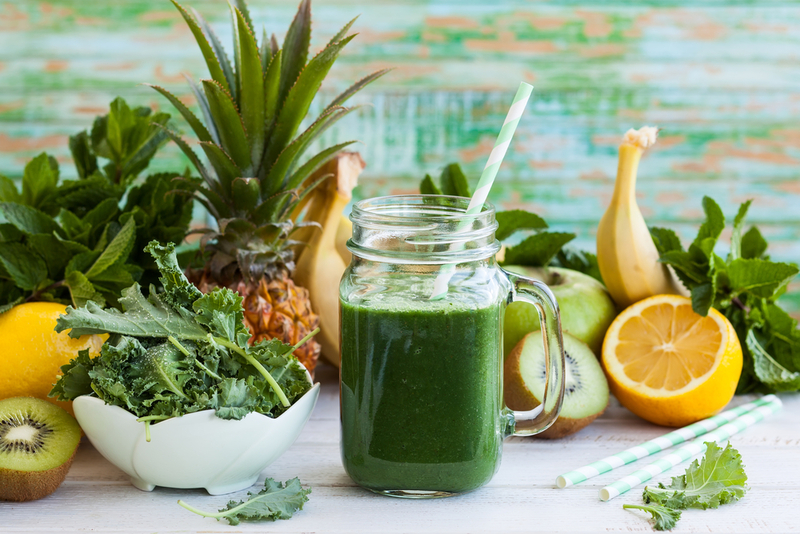 With so many delicious flavors, you’ll be enjoying trying new flavors all spring! Buy individually from the bakery rack, by the half-dozen assorted for $22.50 or a full dozen for $45. Special order flavors have a one dozen minimum per flavor. 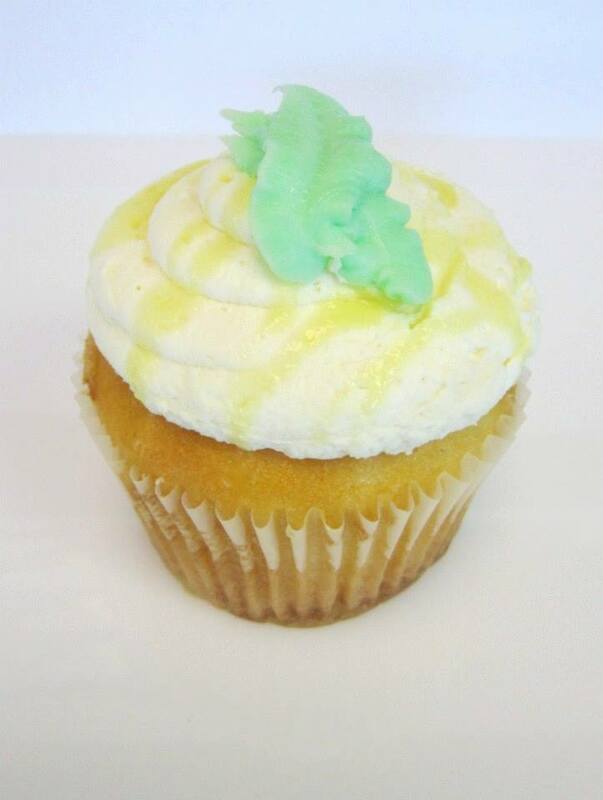 Follow our Facebook page to see each day’s special gourmet cupcake feature. 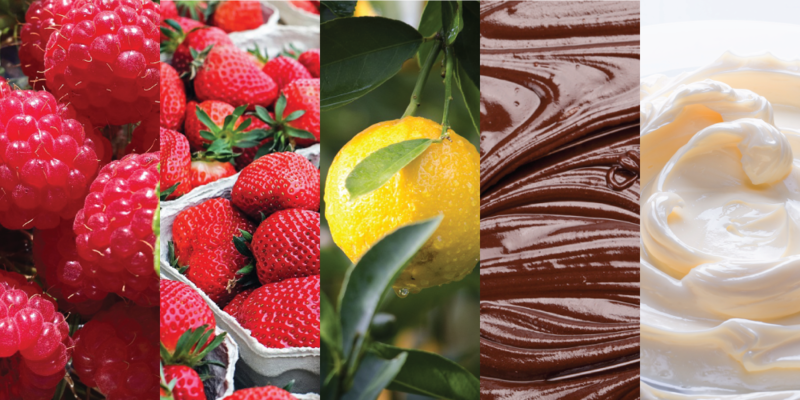 Comment and tell us your favorite spring flavors or what new flavors you want to see! Lacy wedding gowns are not a new fashion trend, but it is one that’s taking the runway by storm. With an ultra-feminine appearance, illusion lace takes on new feels. The latest trend in lace is the illusion lace tattoo. 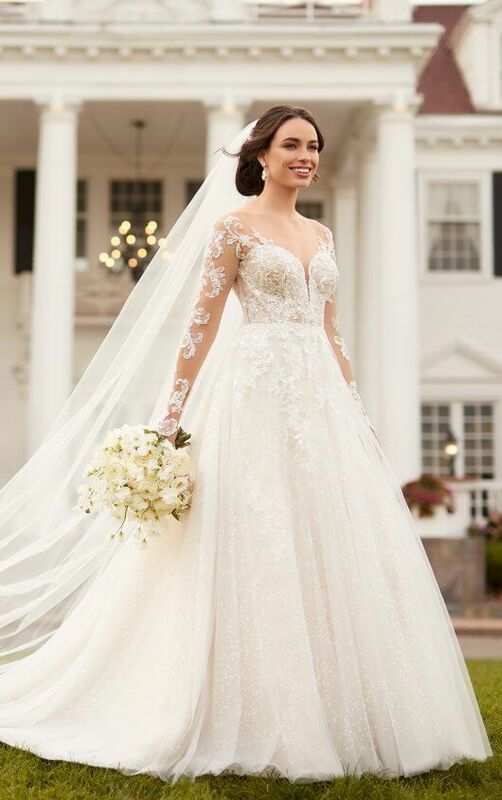 Lace combined with sheer fabric give the appearance of a “lace tattoo.” Sleeves, a faux backless gown, or even a more risqué dress of the entire body can sport this unique wedding gown fashion. Sheer fabric and heavier lace give brides warmth for a cooler wedding season. Wedding gown designers such as Ferretti, Dror, Lela Rose, and others feature the illusion lace trend. Lace patterns can range from flowers to vines. Illusion lace gives as much or as little coverage desired. Illusion lace is commonly seen in faux backless details. This Martin Thornburg features illusion lace designs on the back and sleeves. A satin base with lace-appliqued tulle and illusion lace long sleeves completes an inspiring mermaid silhouette wedding gown. Brides can also showcase this trend without exposing their back by choosing illusion lace sleeves. This Stella York gown shows the beauty of laser cut lace combined with crepe to create a long-sleeved gown with tattoo lace sleeves. 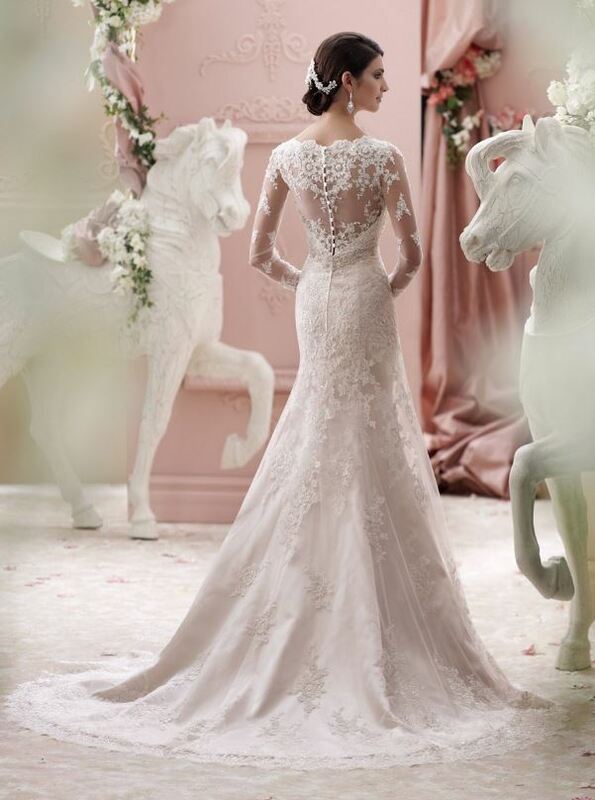 This Martina Liana gown highlights similar long-sleeved lace details. This dress features a beautiful A-line tulle skirt and beaded floral lace appliques that further romanticize the gown. Illusion lace is not just for brides. Designers are creating more bridesmaid dresses with illusion lace too. 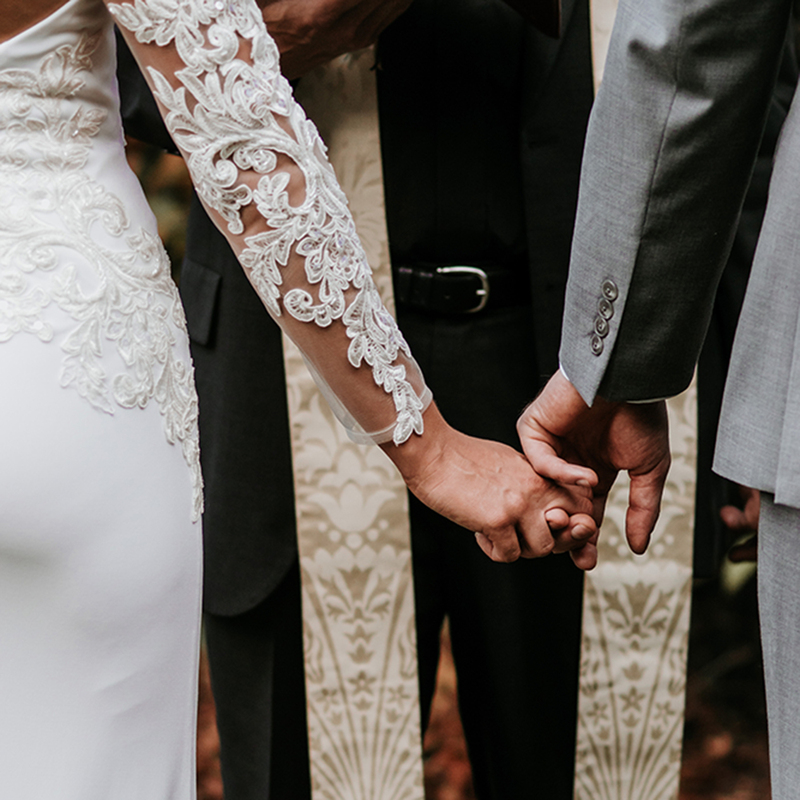 2019 wedding styles are sure to inspire you and elevate your wedding plans. One of the most dominant themes for the year is a move to include the wedding party, family members and guests in the wedding experience. This isn’t just a few new trends, but a completely new view of the dream wedding experience including elements that are evolving the wedding scene. Floral pieces have visited tabletops before. They’ve even been hung from the ceiling, but 2018 weddings saw floral tabletop center pieces emerging and rising to new heights. The floral tabletop trend will continue into 2019. It will be exciting to see the creative approaches florists use to expand and personalize this growing design theme. Weekend weddings are an extended friends and family experience. Capitalizing on a central location, weekend weddings keep guests engaged for more than the ceremony. 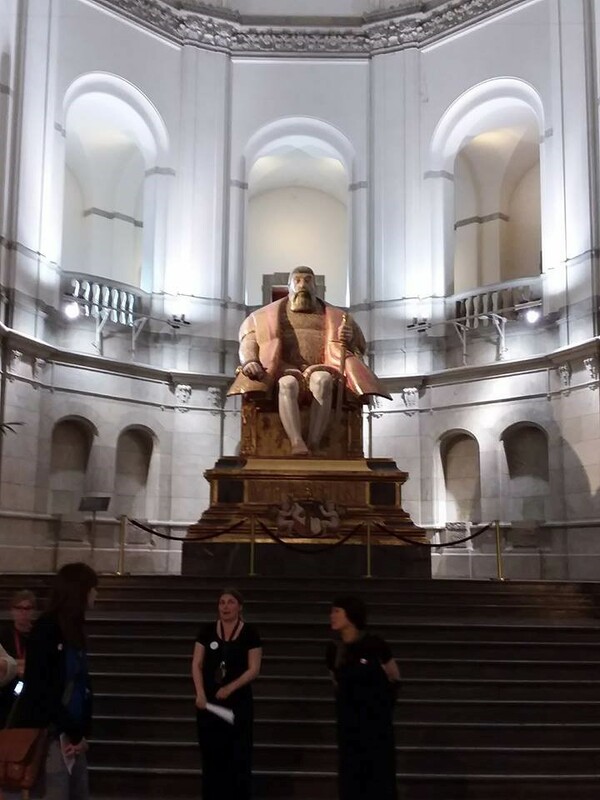 Guided tours or a list of suggested places to visit inspire local area exploration. 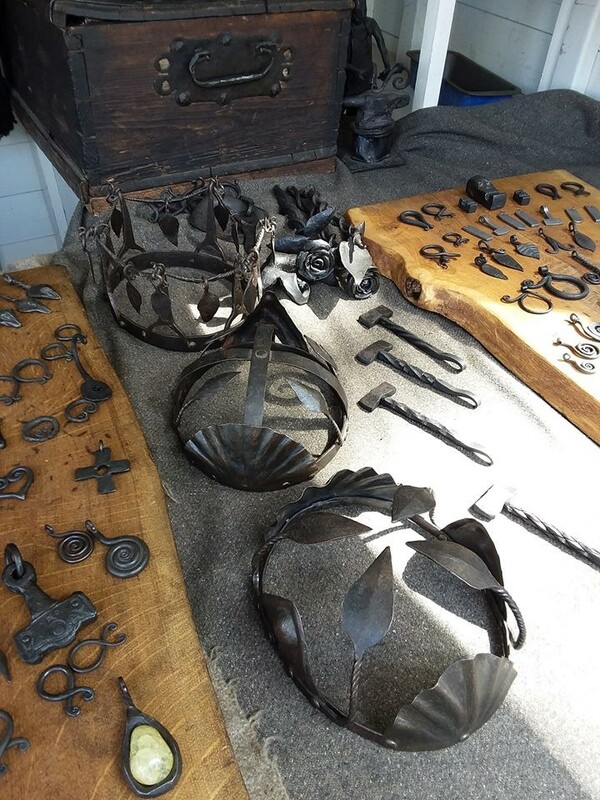 2019’s unique twist has the weekend experience culminating at the wedding on Sunday. This year purple is pushing out the blush pinks of the last seasons. Dominating wedding scene for the past few years, blush is on the way out. Shades of purple from light lavender to bold and dramatic violet hues are in. Fairly fresh on the scene, interactive drink bars continue to develop the truly shared wedding experience for 2019 bridal parties and guests. These stations give an opportunity to customize drinks and strike up conversations. 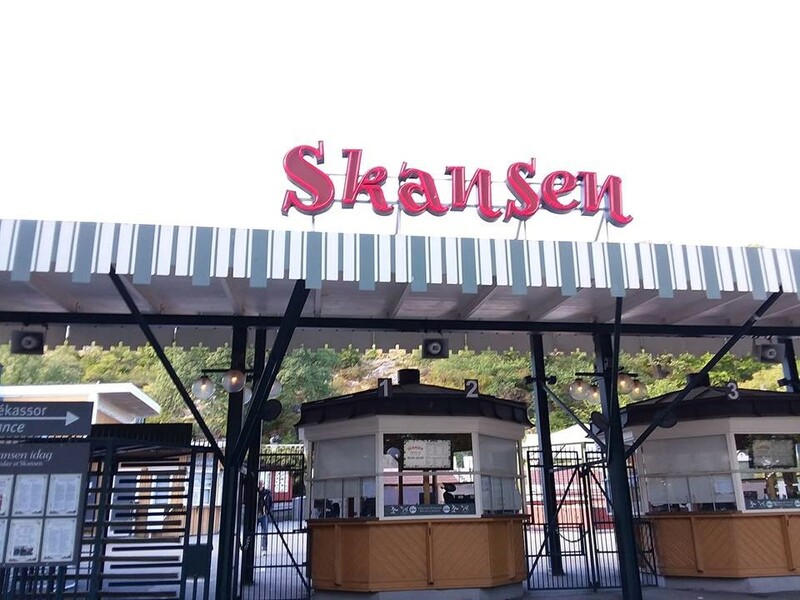 Guests are not expected to be seated and stationary, but are welcomed to move about, talk to each other and engage socially with food, drink and dancing. Explore these new and expanding trends as you seek inspiration and plan your wedding. Have some fun creating an unforgettable wedding experience for you, your fiancé and your guests. 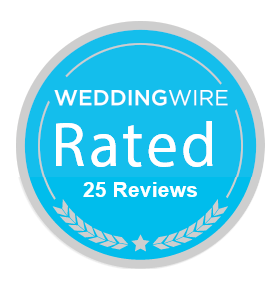 Do you love reading about wedding planning and what’s hot on the wedding scene? Subscribe to our monthly newsletter so you will get all the latest articles and special offers in your inbox. 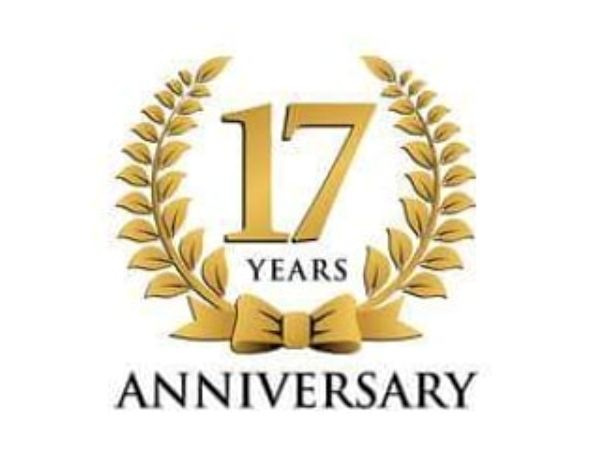 Bonus: Subscribers are also entered to win a $25.00 gift certificate each month! 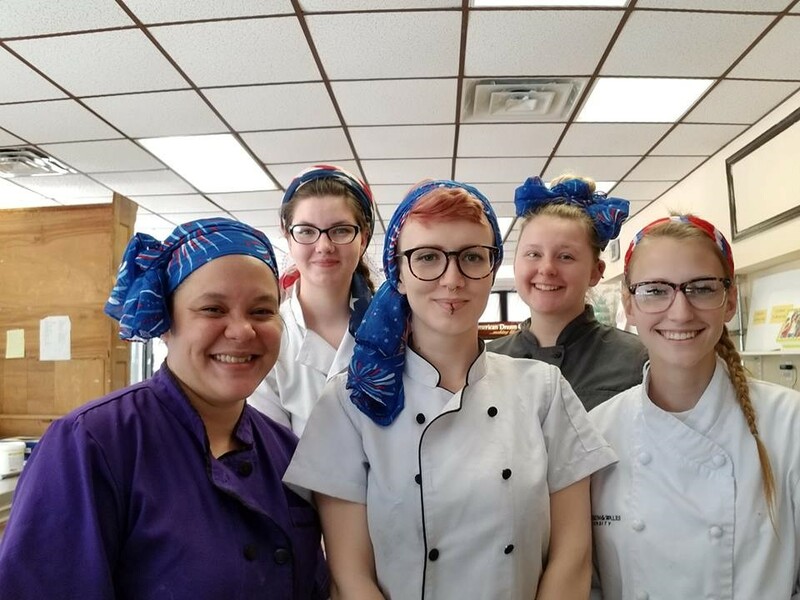 One of the best parts of owning a local bakery is meeting so many wonderful people who live in and visit our eastern North Carolina community. We enjoy hearing stories of celebrations and helping each person create a delicious centerpiece for their special event. Here’s a showcase collection featuring some of our favorite custom cakes. This elaborate custom cake was an 18th birthday cake for a special young lady who loves roses. It featured strawberry cake, iced in delicious buttercream. 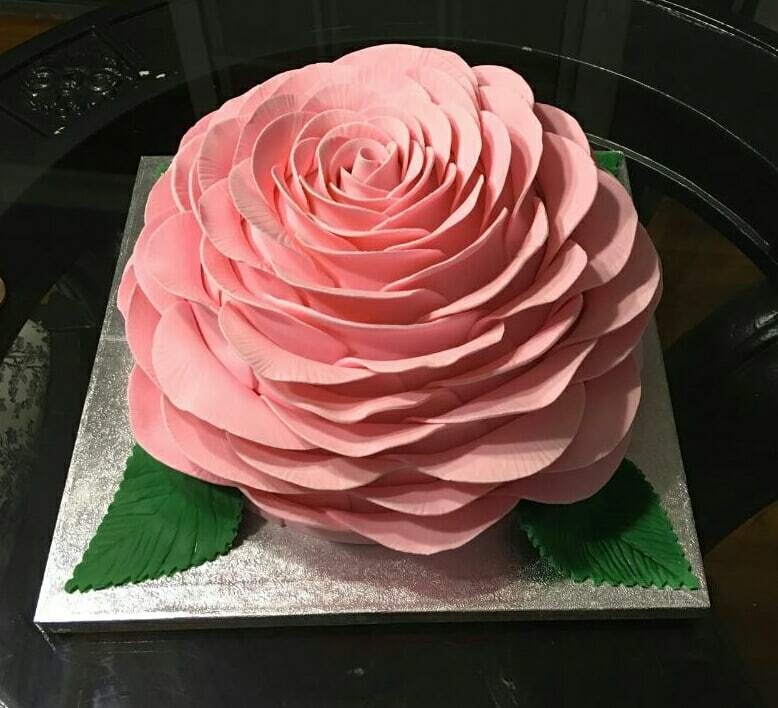 Many beautiful, handmade fresh fondant petals transform this birthday cake into a birthday rose. Inspired from the Star War’s storm trooper character. 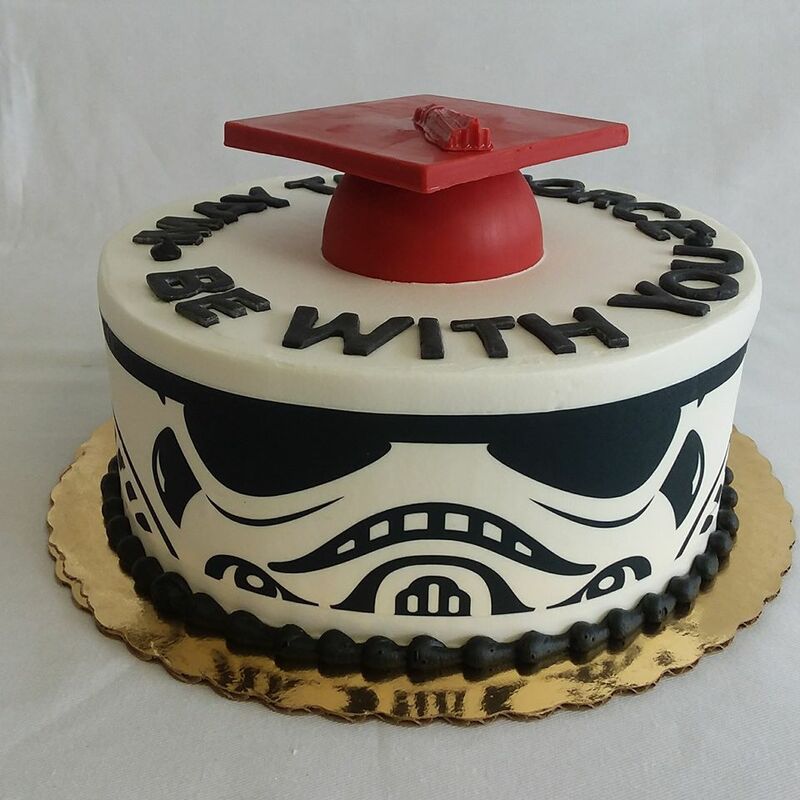 “May the Force Be with You” is fitting life advice for any graduating Star Wars enthusiast. White buttercream provides bridal tone and beautiful contrast for the rich reds and greens atop this cake. 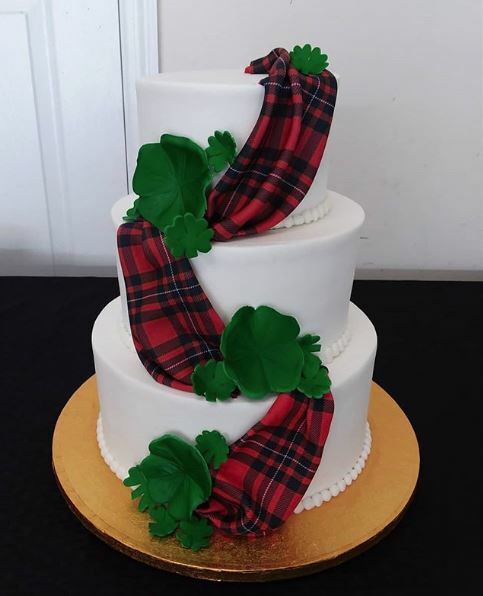 A realistic red and black tartan scarf and green clovers celebrate the couple’s Scottish and Irish heritage. It’s all deliciously edible. 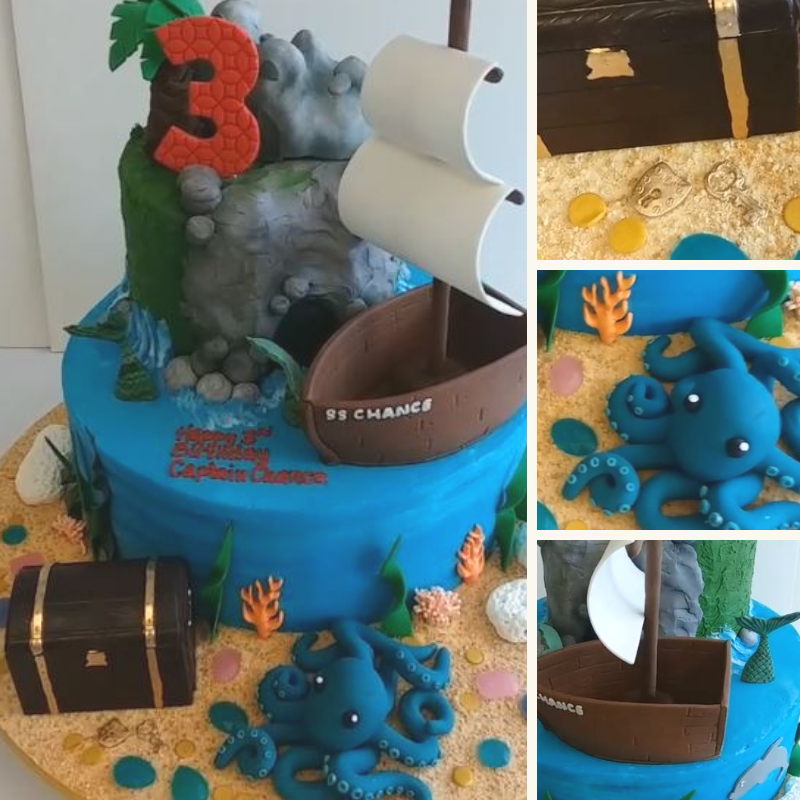 A charming custom pirate birthday cake made for Icing Smiles. 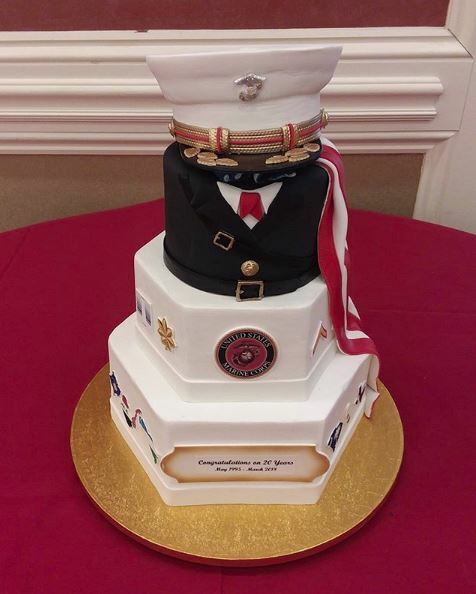 A beautiful four-tier red velvet cake for USMC retirement. Details included the cover, flag, and dress blues. It also features all the countries and states the USMC members had served in over those 20 years of service. 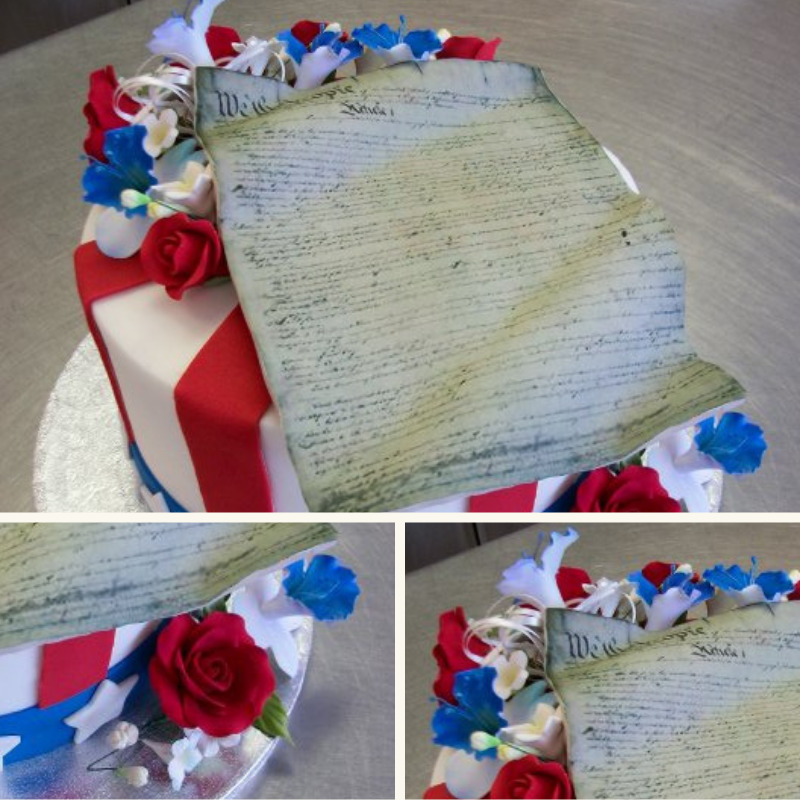 See more American Dream Cake’s custom designs on our Facebook page or Instagram. With endless lights and decorations, holidays provide a romantic backdrop to inspire wedding proposals. He popped the question, and you said yes! You are bubbling over with excitement, and ready to start planning your dream wedding. Here are a few helpful suggestions for next steps now that you’re newly engaged. 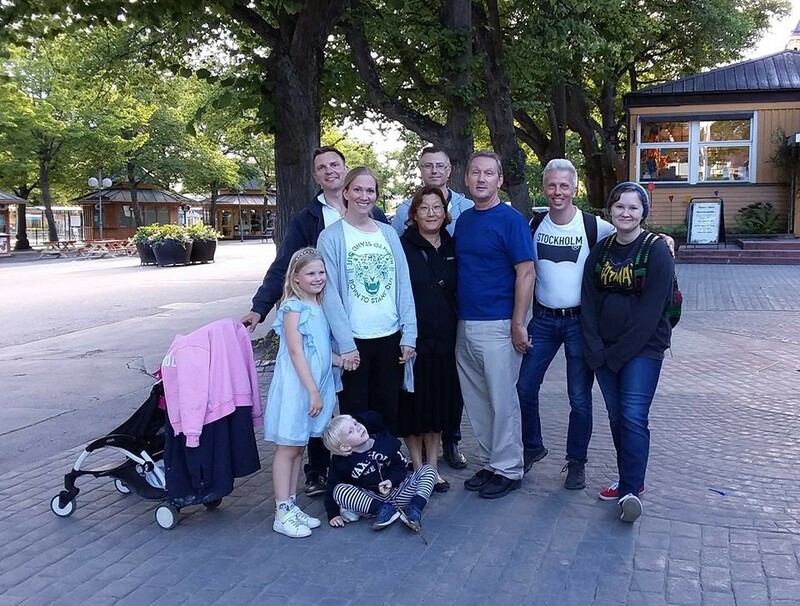 After saying yes, the first “next step” is telling family and friends. Tempting as it is to update your social media status, call family and close friends first. Personal phone calls keep the sense of romance alive. Your ring is a symbol your love. And it represents the soon-to-be forever bond between you and your fiancé. 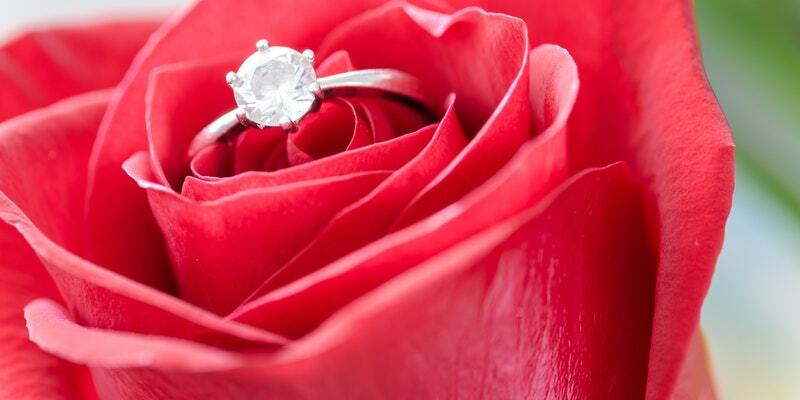 Take some practical steps to ensure your ring is well taken care of and protected. Professional ring sizing and insurance are essential practical first steps. Homeowner’s and renter’s insurance policies both should offer ring protection. A wedding is one of life’s most meaningful events. So many wonderful updates to share a long the way, it is common for new brides to create a wedding website. 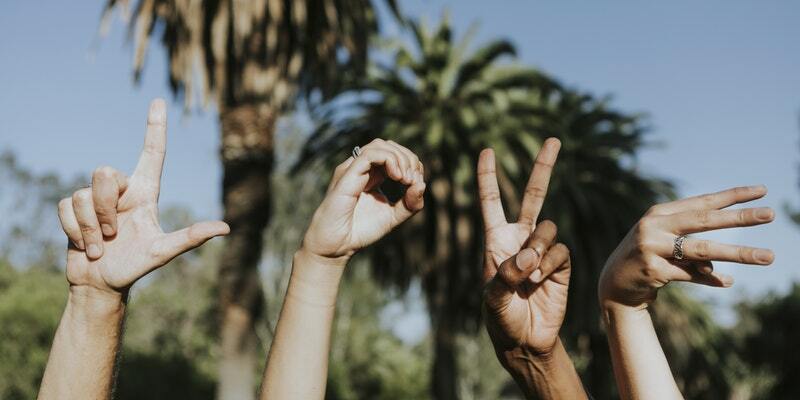 The first things to post include: a couple photo, your meeting story, engagement news and a guestbook. Once you have the essentials up, you share wedding information all along the way, too. 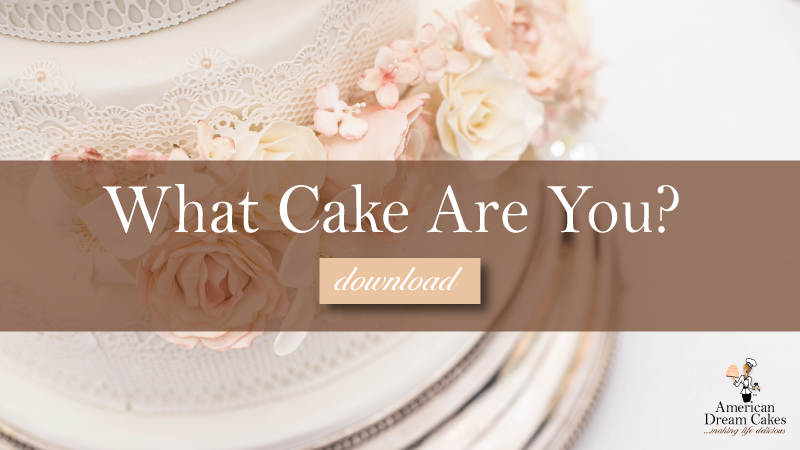 Bridal registry information and engaging components like interactive quizzes are fun options for your friends and guests. There are several great wedding website template options to help guide you. 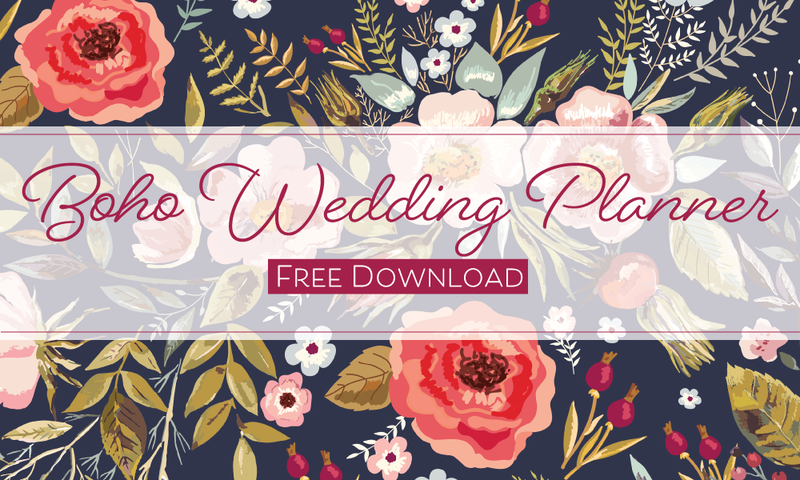 Do you have a wedding Pinterest board? If you have been planning for the last 3 years or not, now is the time to dive into your dream wedding details. 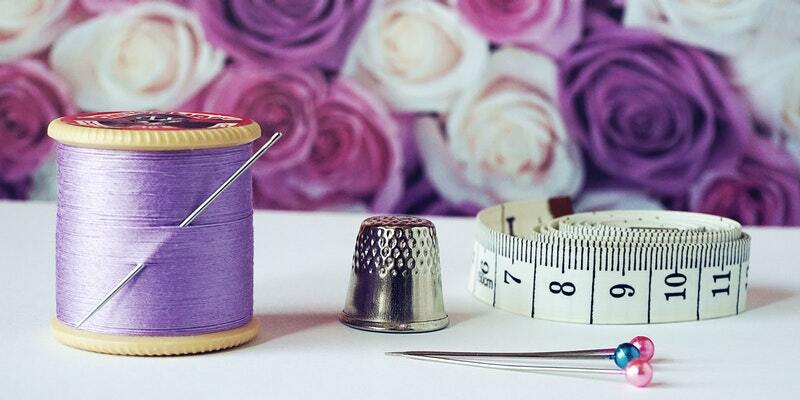 Wedding Tip: Choose your décor to support the experience and feel you want your dream wedding to create. Think about your wedding budget. 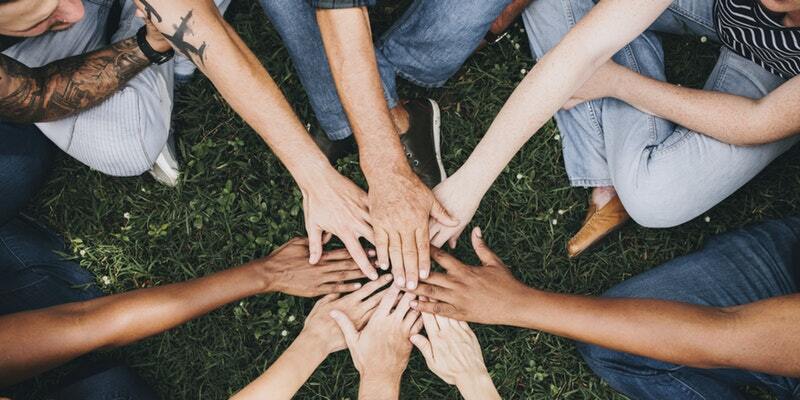 Will you have help from family or are you and your fiancé taking this on together? Once you have a figure in mind, create a bank account just for this event. Track your expenses through the separate account to maintain control of the budget and gauge your progress toward the wedding day. Written budget sheets and estimates will also help outline each part of the wedding expenses and help you keep your budget focused. The size of your wedding guest list and party impacts every element of the wedding itself. To build your list of potential attendees, ask parents and immediate family for guest list suggestions. Pull your lists together and estimate the number of attendees you could have. You can consider your budget and prospective venue sizes to determine the maximum number of guests who will be able to attend. Remember, not everyone you invite will come, so plan on a decline count, too. Approximate guest numbers are important for your budget and venue selection. Once you have an idea of the budget, guest list, venue, etc., it is time to consider who you will ask to be in the wedding party. Plan a special way to ask your bridesmaids and coordinate a similar plan for asking groomsmen. If you will do the planning yourself, schedule potential vendor appointments. Ask friends for references and research reviews to choose initial vendor visits. Arrange interviews and tasting sessions for caterers and bakeries. If hiring a planner, the process will be simpler, but you must select a planner you trust and who gets your vision for your wedding day. Referrals and reviews are helpful. Meet with top prospects and have a face-to-face conversation. Trust your intuition. You’ll know the right planner when you meet them. A great experience for local brides-to-be is to connect with vendors at local bridal expos and events. You’ll enjoy the inspiration offered by many professionals in one location providing you with helpful information for planning your dream wedding. Our modern lives are filled to the brim with demands and to-do-lists. Your engagement is important and can be magical. Take a moment (or more) to allow yourselves to be fully present and savor the experience. 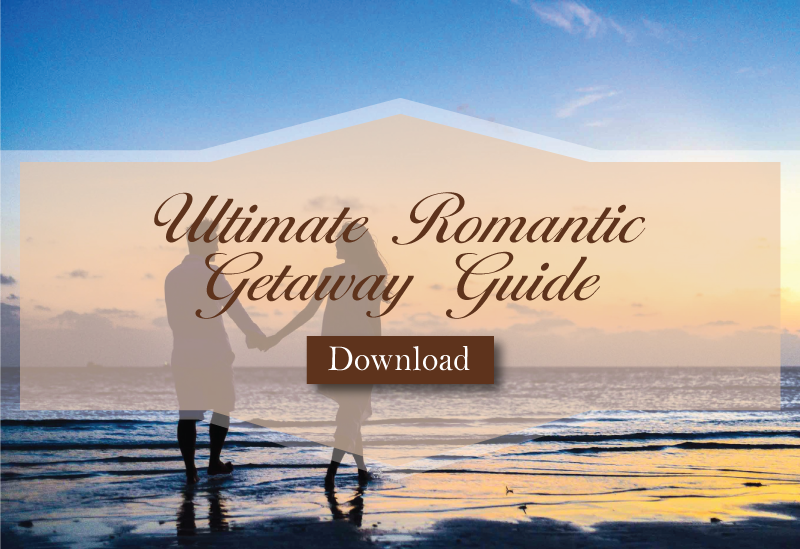 Plan a special time away for you and your fiancé. Turn off your phones, TVs, and screens. Enjoy a quiet, romantic evening together. Talk about the wonderful journey that brought you to the place you are enjoying now. Stay connected to each other and don’t get lost in wedding details. American Dream Cakes is proud to share the sweet moments of making life delicious. From wedding cakes, a baby’s first smash cake, to a 70th birthday celebration, we love each custom cake. 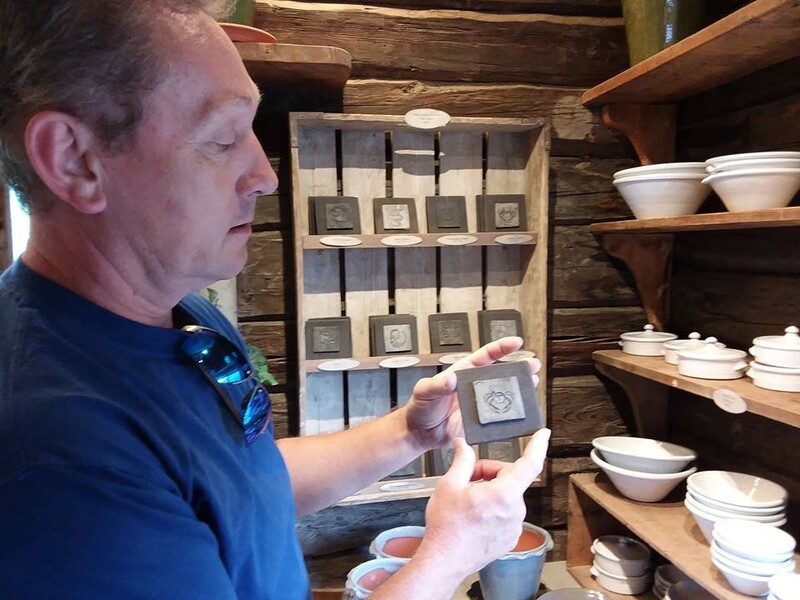 Inspired by a story or memory, our custom design service connects us to our customer in way we cherish. Unit and community organizations and military ball celebrations are an honor to create for a memorable evening. 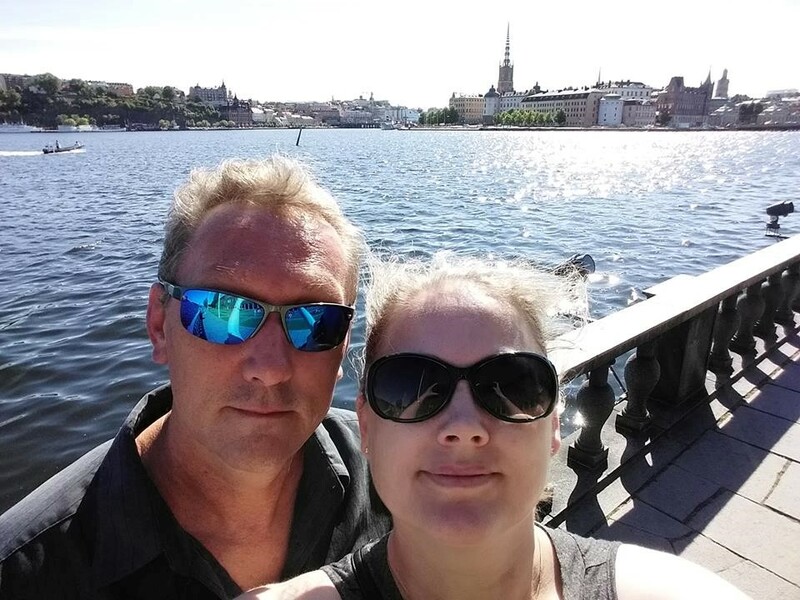 Here is a highlight of our favorite moments from our staff to customers and ADC’s trip to Sweden. 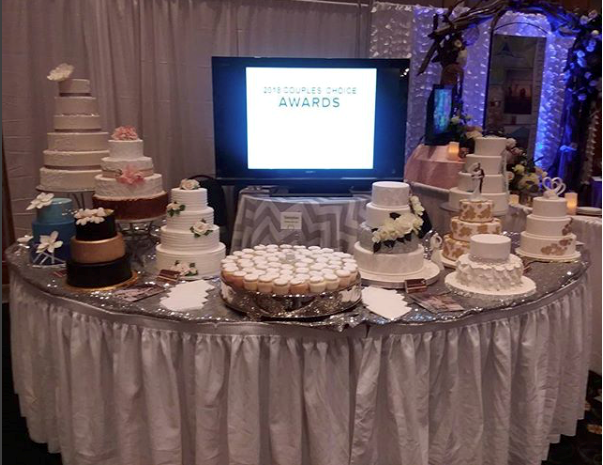 Joining over 70+ wedding experts, American Dream Cakes booth display at ENC Bridal Expo 2018. Bride-to-be’s come from local and surrounding areas for the latest trends’ inspiration. 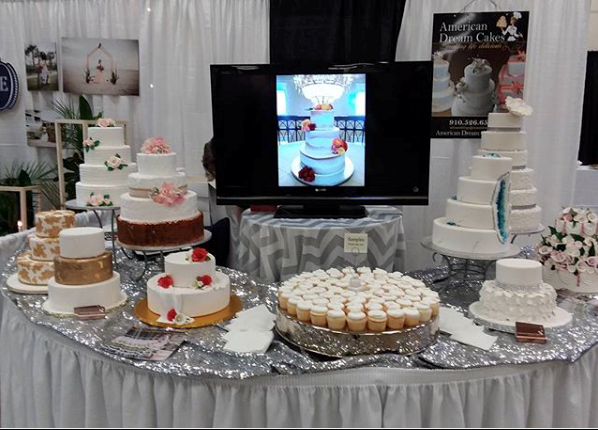 Crystal Coastal Bridal Fair is held annually in Morehead City, NC. Over 50 local area wedding vendors come together for the longest running bridal event on the coast of North Carolina. 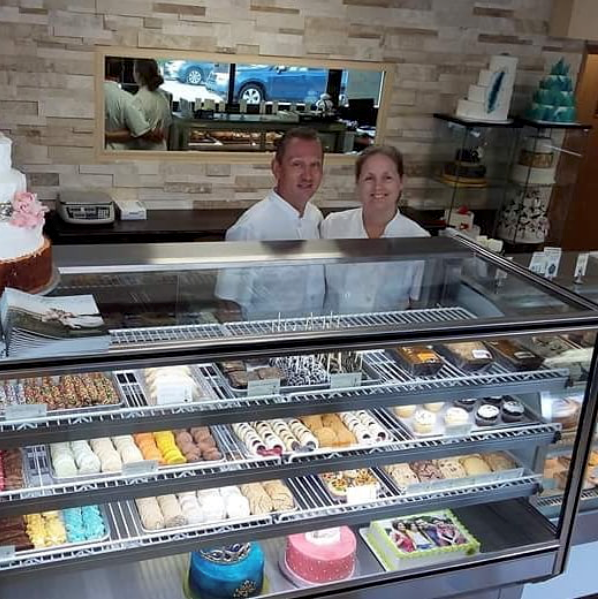 We have the honor of making so many delicious cakes for our customers. Here are the highlights of our favorites this year. 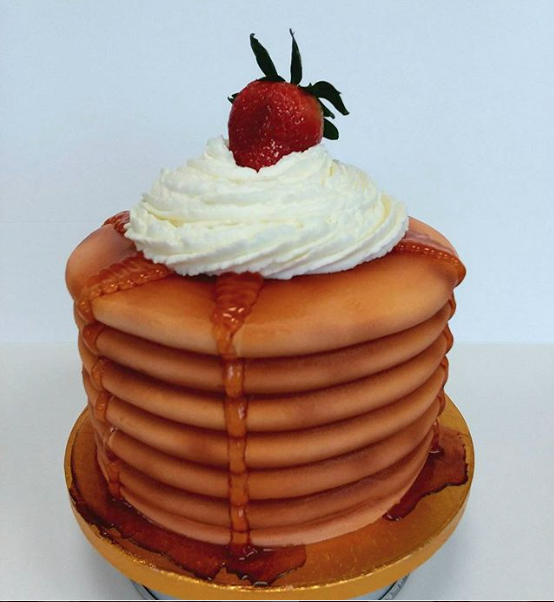 This adorable first birthday cake is designed as a stack of pancakes completed with real whipped topping and a strawberry. Donating to the local community is part of who we are, this 50’s-theme sock hop cake towers at three foot tall. 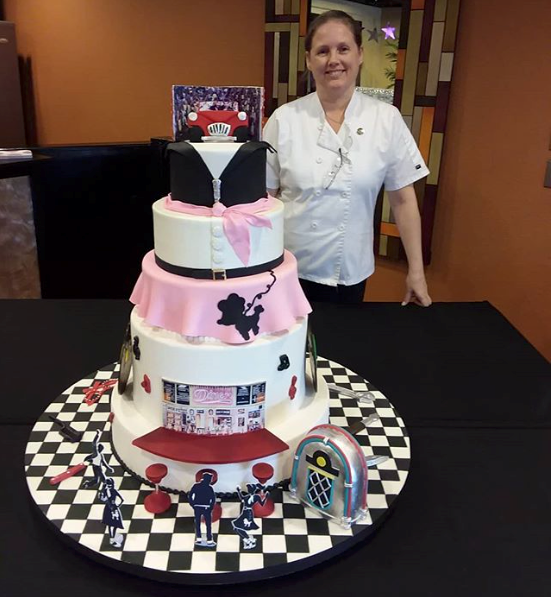 A lot of heart, soul, and ADC creative talent went into this donated community fundraiser cake. This year has come and gone so quickly! We’ve been blessed to make so many wonderful cakes and treats for all of you. We’ve added team members and we’re sad but Proud to see our Sam go off to the Air Force this month. 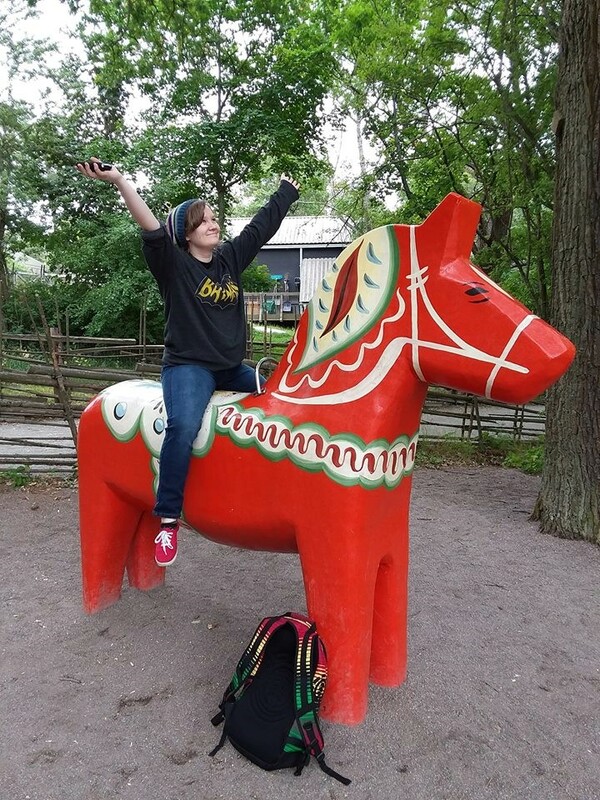 Gunilla has gone through and recovered from not one but two back surgeries this year. We’ve all watched Grandbaby Ela grow up and now as she turns One in December, we can’t wait to see what 2019 has in store for all of us! From all of us to all of you, Merry Christmas and Thank you for a Wonderful 2018!